Home > Knitting > Confession time: I’ve been cheating on my hooks! Confession time: I’ve been cheating on my hooks! Something very strange has happened to me over the last few months. 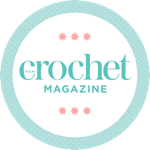 Crochet has stopped being my main craft – and it’s freaking me out! It all started when I became obsessed with sock knitting a few months ago. I knit my first pair of socks on double pointed knitting needles, so I naturally wanted to try knitting a pair using short circular needles afterwards – you know, just to see which method I preferred. My first pair were a bit of a journey – I was so pleased to have managed it though! I settled on short circulars in the end, so I had to knit my third pair of socks to see what brand of needles I preferred… And then my 4th pair to see how I got on with DK weight yarn. Before I knew it, I had used excuses of brand and needle length and yarn colours and yarn thickness to work my way through 10 pairs of socks. Gulp. I’m working on my 11th pair. To say sock knitting is addictive is an understatement. These ones are Stylecraft Head over Heels – it’s so comfortable to wear. This pair were for Mr Elsie Pop – I love how bright they are! Is there a happier sight in the world than a pair of rainbow socks and a pair of doggy feet? Thanks to my lovely Mr, I had the fabulous Opal advent calendar in December, which was full of delicious sock yarn. Excited by the idea of true randomness, I decided to knit a shawl with the mini balls of yarn. So I made a Hitchhiker shawl. The Hitchhiker pattern is AMAZING. I can highly recommend it – it’s super simple, so can be committed to memory very quickly. The result is so wearable I have rarely been seen in any of my other scarves since I finished it. It’s a quick, brainless knit – absolutely perfect for knitting with a box set or two on Netflix. Watching this shawl develop was great fun – I love self-striping yarns! The Hitchhiker shawl is so named because the designer intended it to have 42 “teeth” along the jagged edge – the significance of this won’t be lost on any Douglas Adams fans! Having a whole calendar full of yarn to get through though, I decided that my shawl would go a bit bigger and become a “Heinz” shawl, with 57 teeth. Obviously I put it in a tree… getting carried away much? I love how using a selection of yarn means this shawl isn’t “a colour” – it goes with EVERYTHING. I enjoyed my first two at a time toe up socks! This method is great when you aren’t trying to match stripes. Being so into my knitting has meant that I’ve joined a few knitting groups on Facebook, as well as my usual crochet groups – so obviously I had to make myself the cult favourite, which Facebook knitters are obsessed with – the Baable hat! My finished Baable hat! I LOVE IT SO MUCH! Oh the Baable! I’d admired it for ages – who could resist it really? It’s cute without being cutesy and, let’s face it, it has sheep on it – it’s perfect. I decided to make my hat out of Scheepjes Stonewashed XL. I’ve played around with this yarn before and I love the stonewashed effect and the soft, slightly fuzzy squishiness to it. It worked up beautifully – I was in love with the hat before I had even knitted the sheep. I don’t think I’ve finished my knitting escapades yet either! I received the incredible Unicorn head faux taxidermy kit from Sincerely Louise for Christmas, so I think once I finish these socks I’ll be knitting something else! All is not lost on the crochet front though. I’ve just got myself some yarns which I have a very clear vision for – which can only be achieved with a hook. Crochet, I’m coming for you! Setting up my craft space – work in progress! Hello! Visiting from Sharing the Blog Love. You are so talented! I love all the socks and that hat is SO adorable!